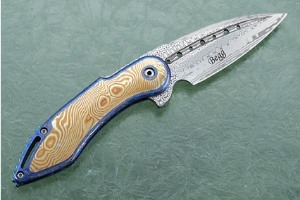 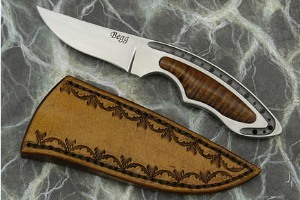 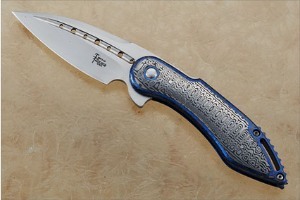 Todd Begg’s interest in knives began at a young age. 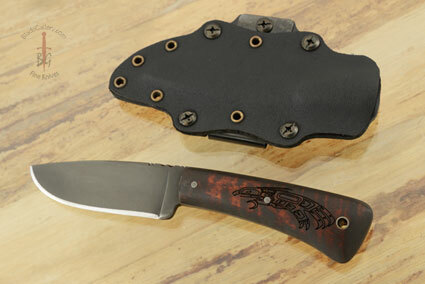 His father collected knives, and Todd shared the family interests of hunting, fishing and survival skills. 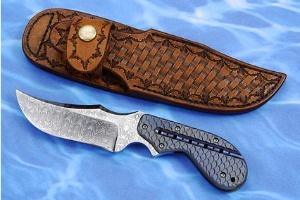 Knifemaking attempts, beginning when he was a child, resulted in his first success (in that the knife actually cut things) in 1983, when Todd was in junior high school. 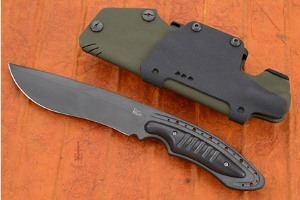 Later he joined the military as an NBC Recon team member and found himself using tactical knives on a daily basis out in the field. 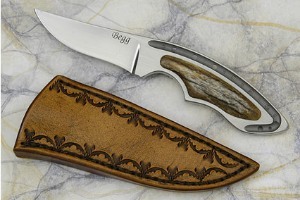 When asking Todd about how he learned to make knives, he laughs and responds “Reading! 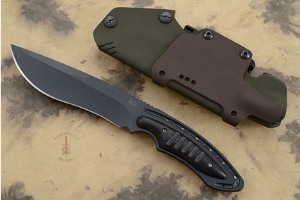 I read voraciously, everything I could get my hands on about construction and metal and design and everything.” He credits Bob Loveless’s book, How To Make Knives, as the spark that lit the fire, and went on to complete kit knives which gave him “a basic understanding of construction.” Todd attended the San Juan College in Farmington, NM, completing a Machine Shop Technology Program in 1998. 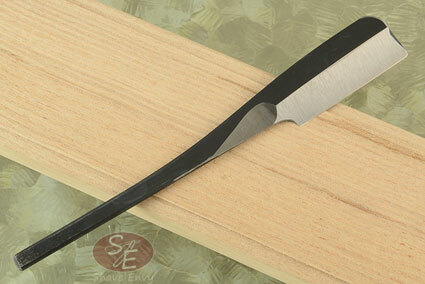 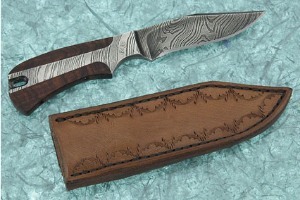 He noticed a dramatic improvement in his knifemaking skills upon his completion of the course. 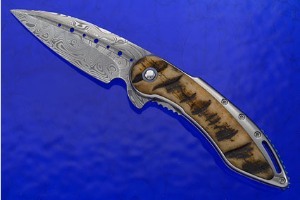 Todd, who lives in Western Washington, is a true full time knifemaker, creating an average of 150 knives per year, and sometimes taking up to three weeks to finish an elaborate custom order. 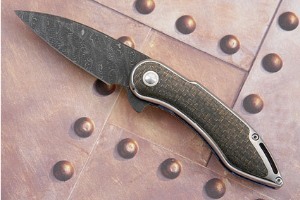 He credits many different knifemakers as sources of inspiration, saying that “there are just so many makers out there doing great work…so many people who are doing things I admire.” That being said, Todd strives for uniqueness, a way to stylistically – if not always structurally – innovate. 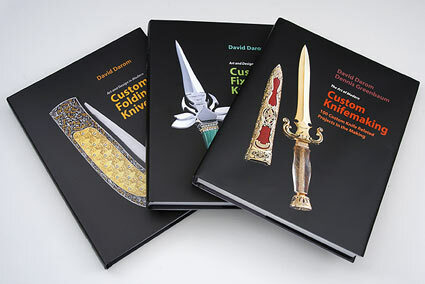 He takes inspiration from many different things, but most frequently turns to either the distant future or the distant past for ideas. 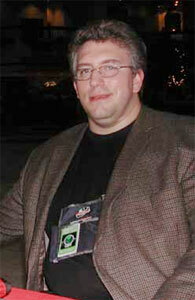 It’s easy to spot the science fiction and old-world elements in Todd’s work – sometimes even in the same piece. 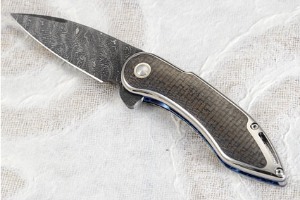 His use of titanium and carbon fiber for different design elements is a strong theme in his work – however, he is a champion of lesser known materials, too, including oddities such as bamboo and alligator tooth. 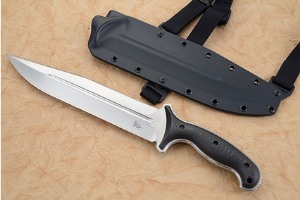 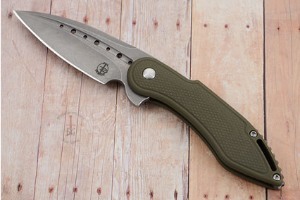 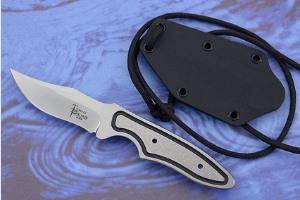 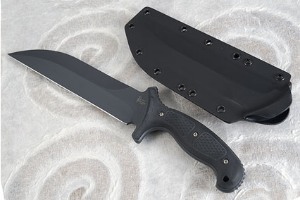 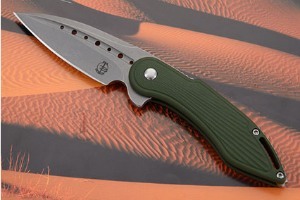 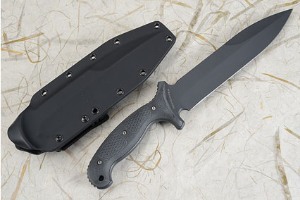 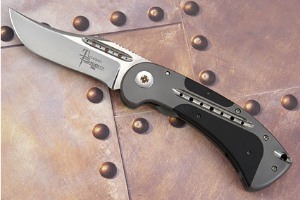 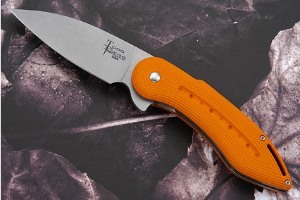 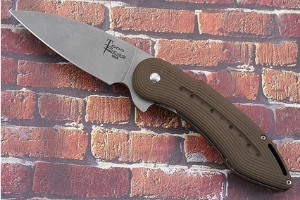 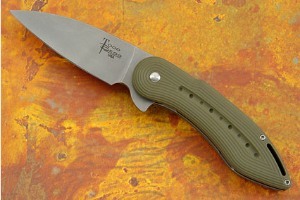 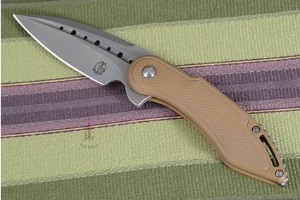 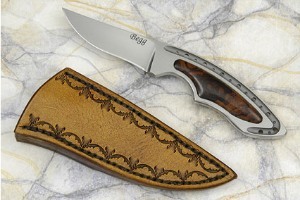 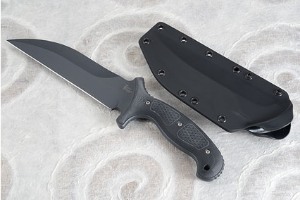 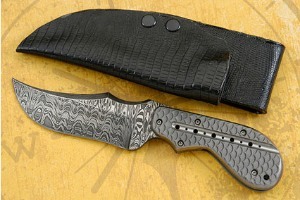 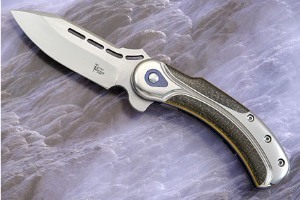 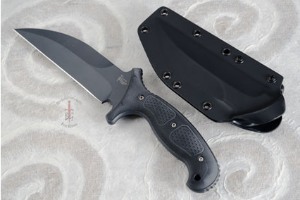 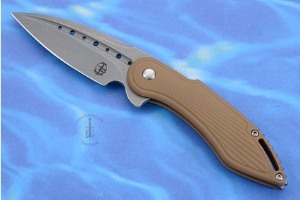 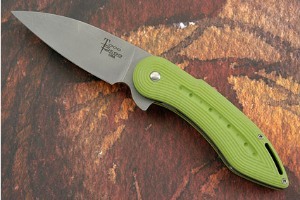 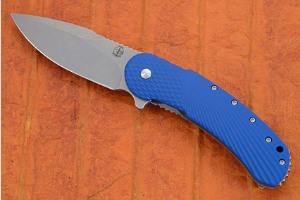 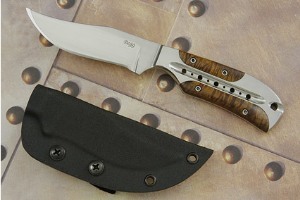 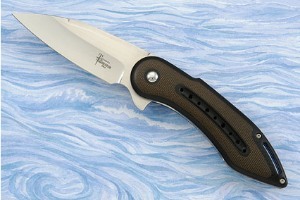 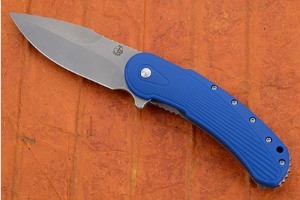 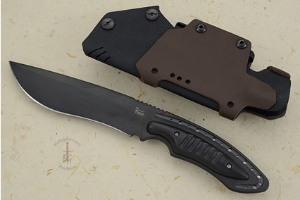 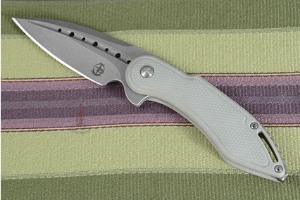 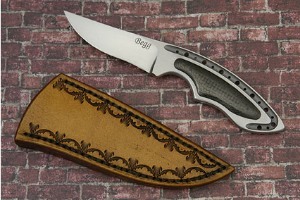 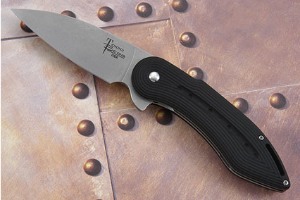 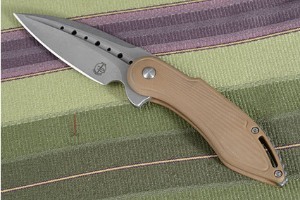 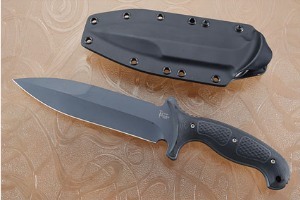 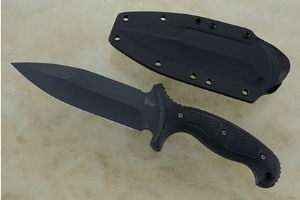 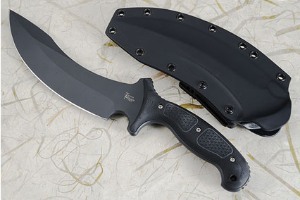 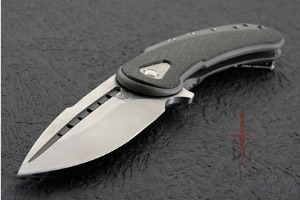 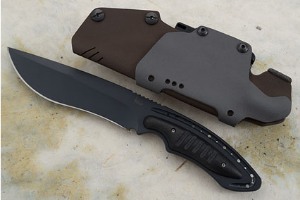 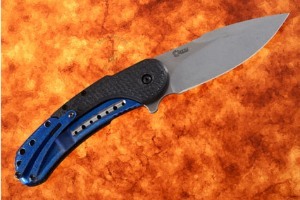 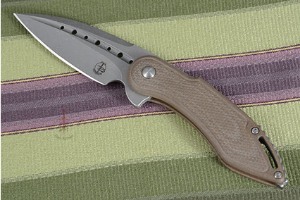 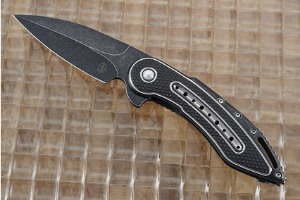 Todd is very well known for his folding knives – he enjoys the challenge of construction and admits “they sell really well – a folder is something that anyone feels okay carrying.” When Todd makes a fixed blade knife, it will most often be a bowie, but he genuinely loves making just about any type of knife. 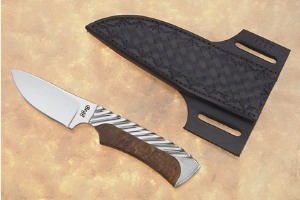 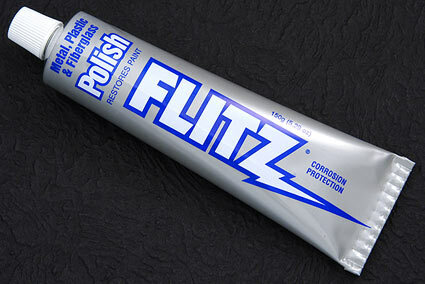 He has developed a unique In-Line handle design, reducing the bulk and weight of a knife. 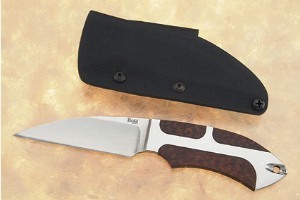 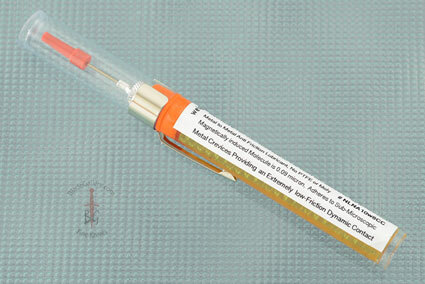 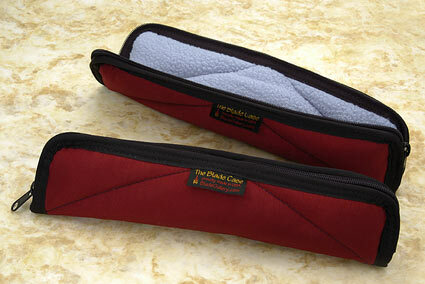 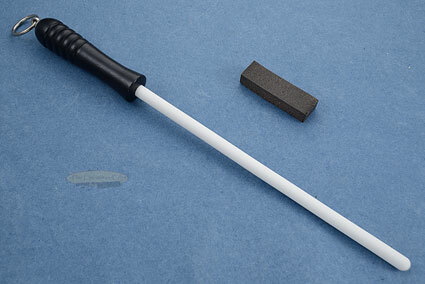 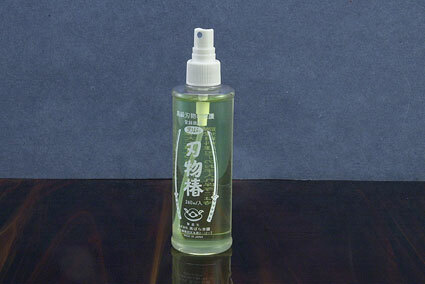 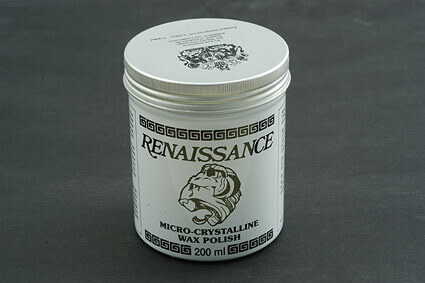 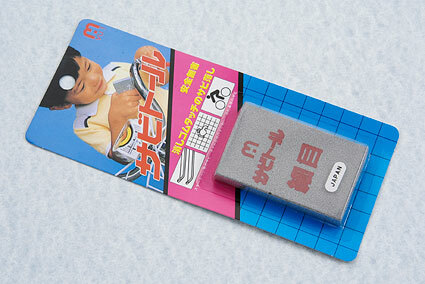 The result is a knife that is much slimmer and significantly easier to carry. 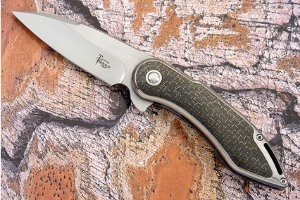 Todd feels all knives have their own beauty and their own challenge. 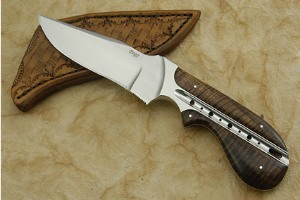 Todd’s favorite part of the knifemaking process is the first moment holding the finished knife, having in his hand something that had previously only existed in his head. 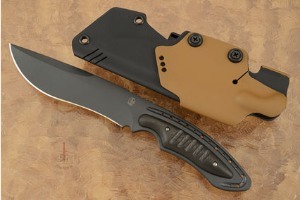 He also enjoys the creative process of sketching ideas until a design coalesces into a plan. 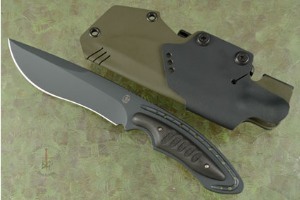 He works primarily with stock removal though he enjoys forging and hopes to spend more time doing it in the future. 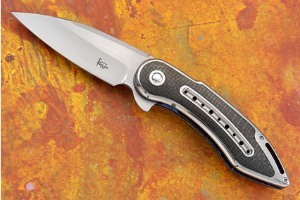 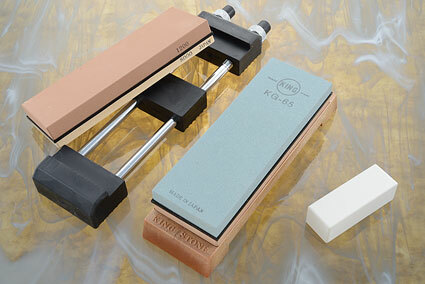 Todd strives for perfection in form, function, fit and finish. 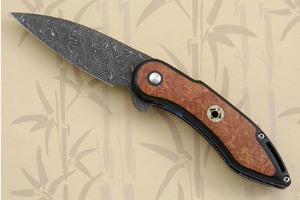 His goal in building knives is to deliver a finished product that will cause unadulterated delight for the buyer!